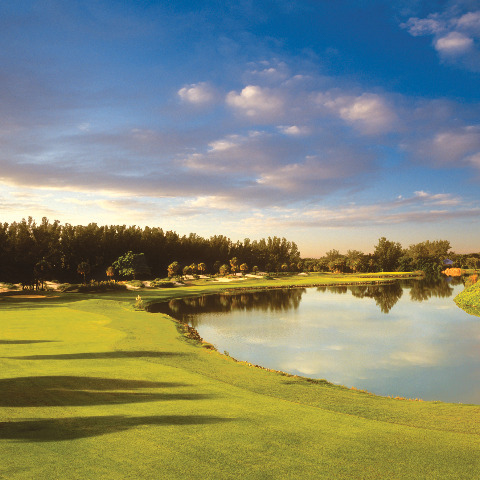 The Harbourside course presents a uniquely different golf experience from the Islandside course. This challenging 27-hole layout features 3 nine-hole courses designed by Willard Byrd. The Red course is 3,323 yards; the White course is 3,426 yards; and the Blue course is 3,386. Golf course architect Ron Garl completed a $2-million renovation of the Harbourside Blue Course. Now officially known as the "Blue Heron," Mr. Garl rebuilt the putting surfaces to USGA specs, added new bunkers and chipping areas, and revamped the 580-yard par-5 fifth to create a beautiful peninsula green. 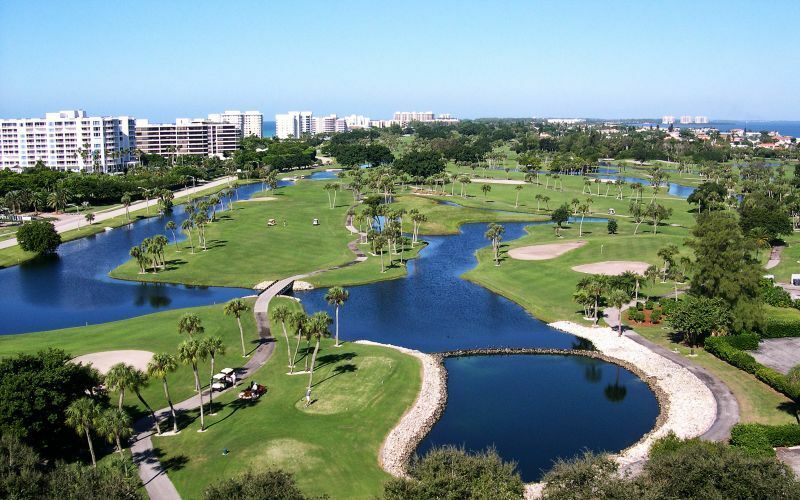 Bordering Sarasota Bay, the Harbourside course plays through stands of oak, sabal palm, fiddleleaf palm, Washingtonian palm, fig, palmetto and southern pine. Tree-lined fairways and swirling winds put a premium on shot-making and course strategy.